Coins 246 T. Carisius. 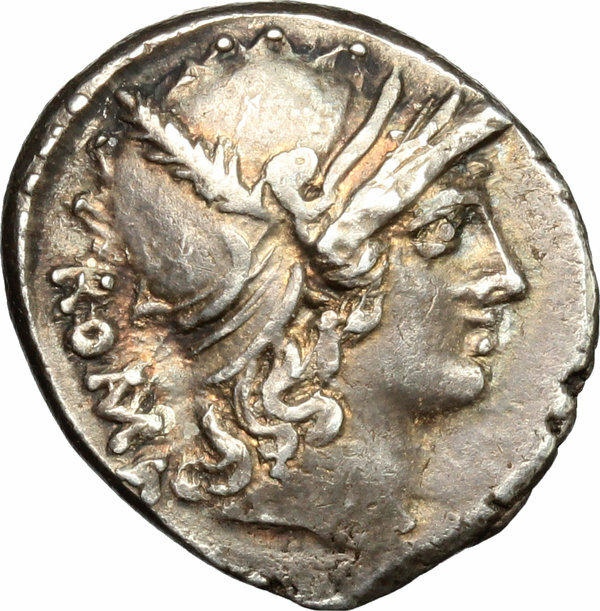 AR Denarius, 46 BC. 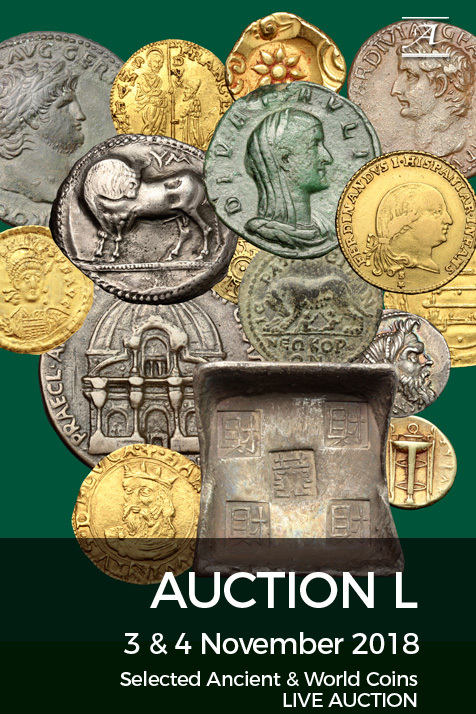 D/ Head of Roma right, wearing Attic helmet, crest ornate, with plume on each side; behind, ROMA (MA ligate A in error?). 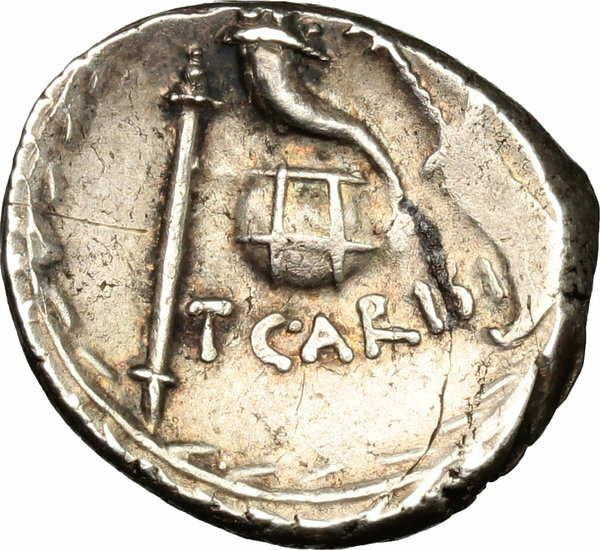 R/ Sceptre, cornucopiae on globe and rudder; below, T. CARISI; all within laurel wreath. Cr. 464/3a. B. 4. Banti 17. AR. g. 4.18 mm. 17.50 Great metal and full weight. An attractive example. Minor area of weakness on reverse. Superb iridescent old cabinet tone. Good VF.